Watch MOT – When is it Time to Service my Watch? Wristwatches remain ever popular, even in this digital age where the time flashes up at us, without consent whenever we’re faced with a screen. But many of us are still continuing to hold on to the age old tradition of wearing a stylish timepiece, and with a great wristwatch comes great responsibility. The watches we wear are so much more than a simple instrument for telling the time. They have the power to make a personality statement about the person wearing it, they act as a family heirloom and carry years of memories of occasions both full of happiness and sadness with every second that ticks by, and ensuring your watch is in good working order means you will never be without this important accessory that lies coolly on your wrist. 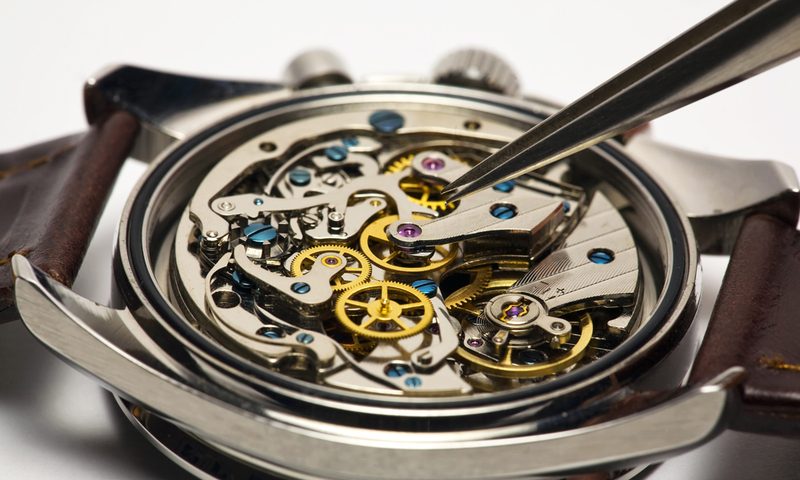 So what can you expect during the process and how often should you service your timepiece? A service is designed to bring you watch back to its original working order, each component is overhauled to bring new life and ensure reliability to the watches that often mean so much to us. Once your watch has been serviced it should leave the horologists with the same functionality it had when new. Every aspect of the watch is meticulously renovated with the case being disassembled completely with each component cleaned with special solutions. 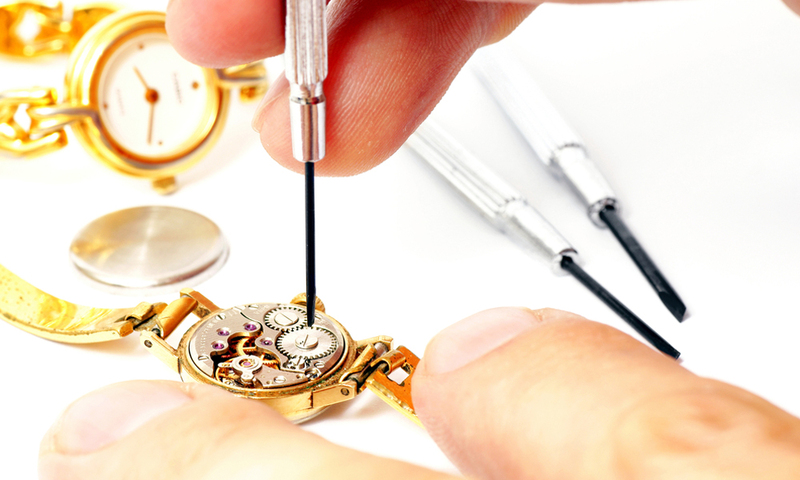 Your watch maker will examine each part of your watch to pinpoint any that require replacements. The components will be specially lubricated to minimise friction that leads to excess wear, this lubrication means the watch will continue to be accurate. The balance wheel will be tested expertly to ensure it’s perfectly precise and keeping time accurately, this can take several days of observation when dealing with luxury watchmakers. The strap of your watch will also receive a service, with specialist cleaning and examination of wear and tear, any parts that show damage will be refurbishes or replaced. Finally the mechanism is carefully reassembled and reattached to your watch’s bracelet with every seal replaced and tested methodically to ensure the timepiece is still absolutely waterproof. All components of your watch will be checked one final time to ensure every part of your watch is working to the highest degree. How Often Does my Watch Need Serviced? Many watch owners stick with the mantra “if it ain’t broke” but the problem with this philosophy is that if a problem is discovered at an extremely late stage, it’s often too late to fix it, and if it is fixable the timeframe may be longer leading to an extended cost and extra frustration. A watch service timeframe will be specified in your guarantee, but most brands recommend every 3-5 years. However, if you notice your watch skipping beats then it’s time for a service, this could mean it’s moving either slower or faster. If your watch suffers water or dust damage a service is urgent, the sooner your timepiece is opened and aired, the less damage will be sustained. Throughout the UK there are plenty of specialists available for watch servicing, and most brands have specialist servicing facilities. Today we all live incredibly busy lives so utilise reliable watch repair and servicing companies that operate by post meaning there will be inconvenience to your schedule. When you invest in a high-quality wristwatch you make a statement about yourself and brand yourself as someone who is committed to the long-term investment a beautifully crafted timepiece comes with it. Of course, preventing is better than cure so some simple tips you can follow to keep you watch in good working order until it’s time for a service are to follow the manufacturer’s maintenance instructions, not all watches are created equal. You should have your watch expertly fitted in order to prevent excess wear which may lead to premature damage and of course, avoid wearing your watch in high risk situations, such as sporting activities, where it could be damaged.